(ASX: FPP) What's your REAL ESTATEMENT? The Fat Prophets Global Property Fund (the Fund) officially listed on 9 October (IPO), making October 2017 the first part month official period of the fund. The Fund’s first period NTA as at 31 October of $1.059 was marginally ahead of the forecast in the Product Disclosure Statement (PDS) for the amount raised ($1.058). During the period from IPO to 31 October a portion of the Fund’s assets were invested in securities with the balance remaining in cash hand as the initial investment decisions were made. This aligns with the Investment Manager’s mandate as stated in the PDS to be fully invested within 60 days of IPO. Initial investments were primarily made in Australia and the US. 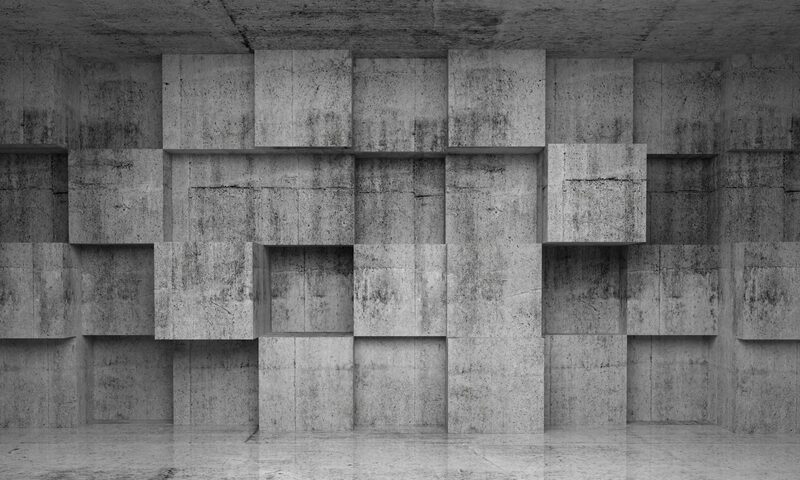 The Fund is targeting investing into listed REITs around the globe which, in the Investment Manager’s view, are trading at a discount to their net tangible assets. As such we will be taking select timing opportunities into account when investing the portfolio. The Fat Prophets Global Property Fund is also focussing on providing a sustainable distribution yield to its investors. We are investing with cognizance to the yields on offer in the stocks we invest in, as well as taking into account the ex-distribution dates. In the US, a lot of stocks went ex-distribution at the end of October. It was our view that many of these stocks had the expectation of the distribution well priced-in and there would be better total return opportunity by seeking to invest post the ex-date. This has proven a successful strategy so far in our view. As at 31 October, 18.5% of the Fund’s net assets had been invested across 17 stocks, with the balance held as cash. The return performance of the stocks held as at 31 October was broadly neutral. CBL & Associates – a large US listed shopping centre REIT which owns 127 centres. The stock price has declined materially including a 25% one day plunge in early November. The Fund is investing post this decline at pricing which reflects less than 3x 2017 earnings and a double digit yield. It is a classic opportunity the Investment Manager looks for where fear has driven the stock price well below the fair value of the assets it owns. Investa Office Fund – A high quality Australian office REIT which is trading at a double digit discount to its net asset backing despite being exposed to one of the most sought after asset classes in Australia currently. Servcorp – The Fund has the ability to take small positions in stocks outside the index. ASX listed Servcorp in our view offers attractive exposure to demand for office space in Australia and other global markets through its serviced office offering. It has an attractive yield and until recently has had a strong long term track record of growth in its portfolio driving growth in earnings which we believe will provide sustainable returns. Alongside an attractive yield we see strong total return opportunity from this investment. AroundTown Holdings – The Fund made an investment into German listed Aroundtown shortly after the REITs October €450m equity raising halted recent share price gains. Over €800m of acquisitions have been announced since 1 October at earnings positive yields exceeding 6%, and the Group appear to remain well on track to continue its track record of adding value through leasing and capital expenditure to drive asset value growth. DDR Corp – US listed DDR is the largest owning of ‘big box’ or large store shopping centres in the US with close to 100 properties. It is trading at less than 10x earnings and at well below our assessed book value for the portfolio. US retail REITs are under pressure and while it may take time for DDR to deliver capital returns we believe the wide divergence between share price and net asset value underpins investment rationale and in the meantime a strong running yield will provide an investment return carry. Vicinity Centres – Australian listed shopping centre REIT which is anchored by Chadstone – the best mall in Australia. The Fund has been buying into VCX at below NTA and a considerable discount to its primary Australian listed peer Scentre Group. 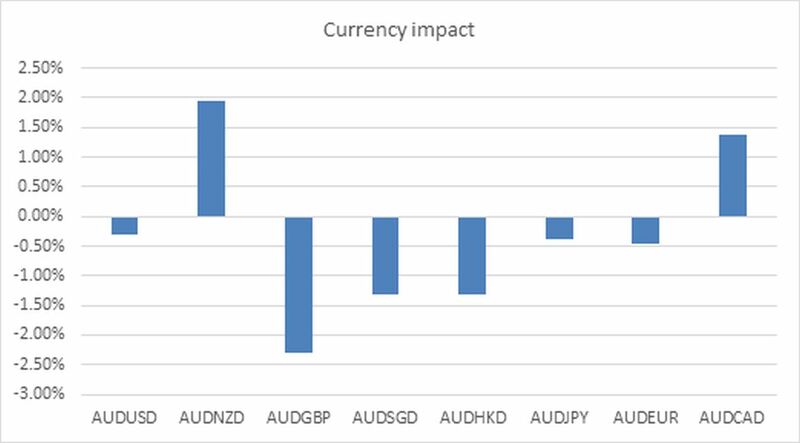 The following chart highlights the impact of currency movements over the October period since IPO. 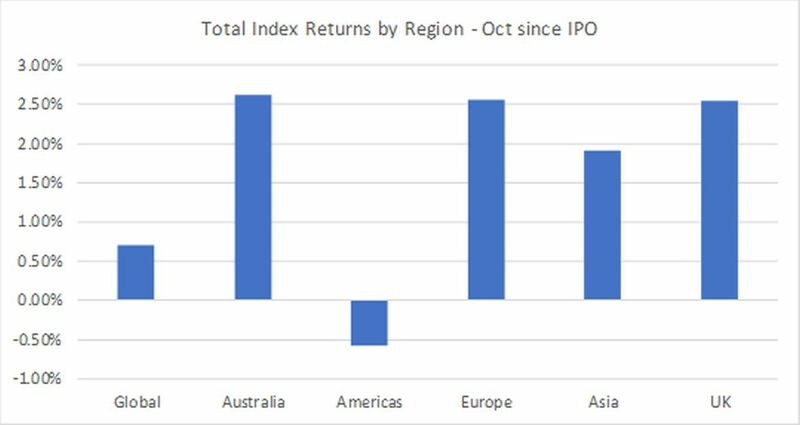 For the brief period from IPO to 31 October, the following regional returns were recorded by the index in unhedged A$ terms). In terms of returns, America had a volatile monthly period and makes up a significant portion of the global index. A strong positive price movement was experienced by REITs and property companies in Australia, Japan and Singapore. The month of November will be an active investment period for the Fund and we expect to have the majority of FPP’s capital invested by the end of the month. Fat Prophets Funds Management Pty Limited (ACN 615 545 536) has prepared the information in this announcement. The information contained in this announcement was not prepared by One Managed Investment Funds Limited (ACN 117 400 987) (OMIFL). While OMIFL has no reason to believe that the information is inaccurate, the truth or accuracy of the information in this document cannot be warranted or guaranteed by OMIFL. This announcement has been prepared for the purposes of providing general information only and does not constitute an offer, solicitation or recommendation with respect to the purchase or sale of any units in the Fund nor does it constitution financial product advice and does not take into account your investment objectives, tax or financial situation or needs. Fat Prophets Global Property Fund (ASX: FPP) is an ASX listed Investment Trust investing in listed global real estate equity opportunities in developed markets around the world.